When you just can’t stand the cold anymore or you’ve got a chill you can’t shake, then it’s time to make yourself an afghan. 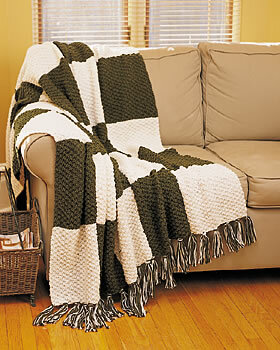 A cozy and cuddle-worthy afghan is perfect for those cold, wintry days or those nights snuggle up by the fire. I don’t know about you, but these are my favorite gifts to make and to receive for the holiday season. Everyone can always use a new afghan! We love showing off our gorgeous afghans by draping them over the couch or on the bed. We’ve even got into the trend of using a “blanket ladder” to store our afghans. All you need is a ladder and you can easily hang an afghan on each rung. 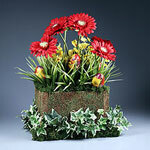 Then the afghans are easily accessible to anyone with a chill, and the display looks wonderfully rustic! Make these free afghan patterns for those you love most. They’re such beautiful creations and our favorite are the super colorful afghans. There’s nothing like adding a splash of color to your winter blues. 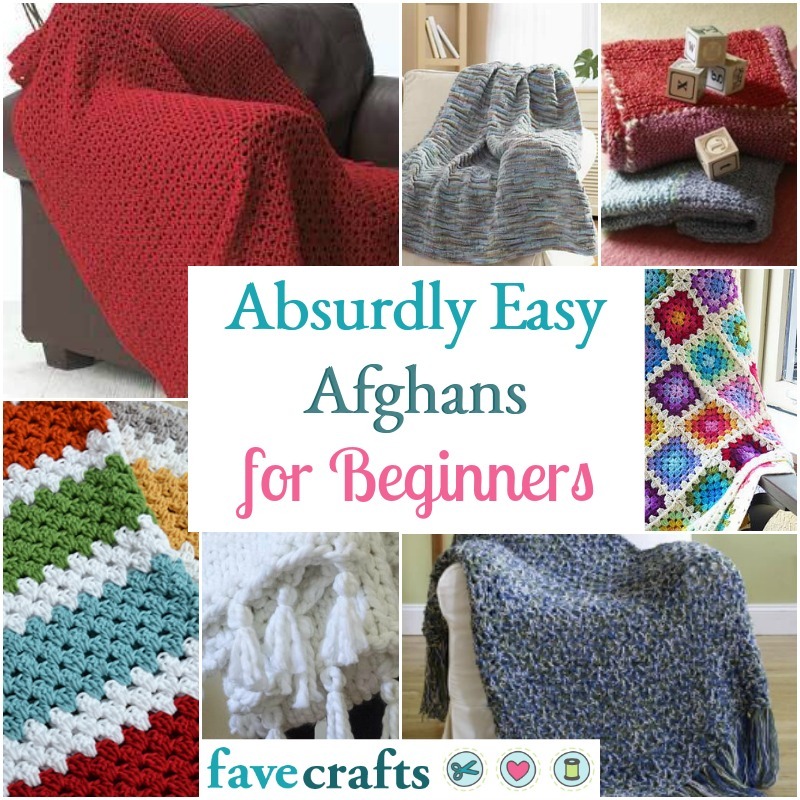 Plus, these afghan patterns are available for both beginners and advanced crafters. Whether you knit or crochet, you’re bound to fall in love with one of these craft projects. The hardest part will be deciding which ones you’ll make for yourself and which ones you’ll make as DIY gifts! If you’re looking for another knit or crochet gift idea, try cowls! You can check out “Cowl” us Crazy! 12 Knit and Crochet Patterns for the perfect free patterns. A cozy crochet afghan is the best DIY home décor project. 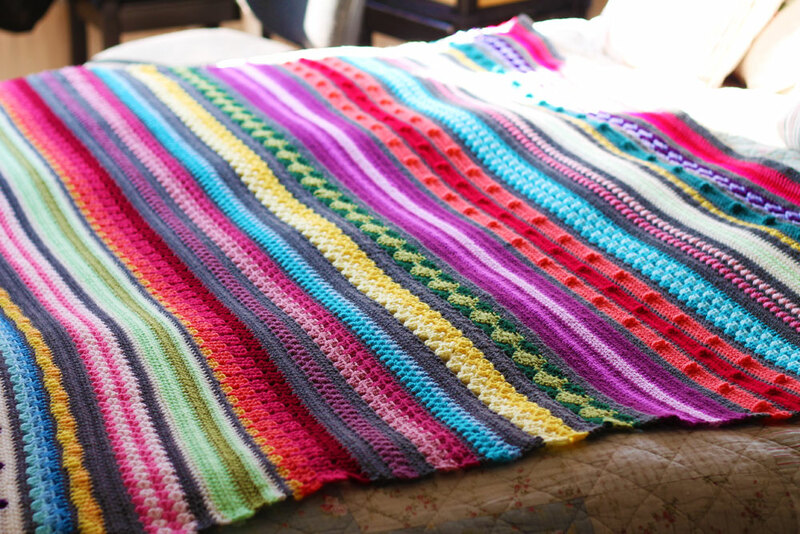 You can create a beautiful and fun rainbow afghan or use colors that will complement your room’s décor! A knit afghan is always so plush and cozy. We can’t get enough of them! 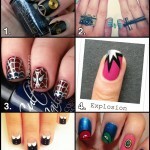 You can find an advanced pattern or an easy pattern. If you’re looking for a quick knit afghan to give as a gift, then we’ve got the free knitting patterns you need! Comment below and let us know, how many afghans do you have or have made as gifts? 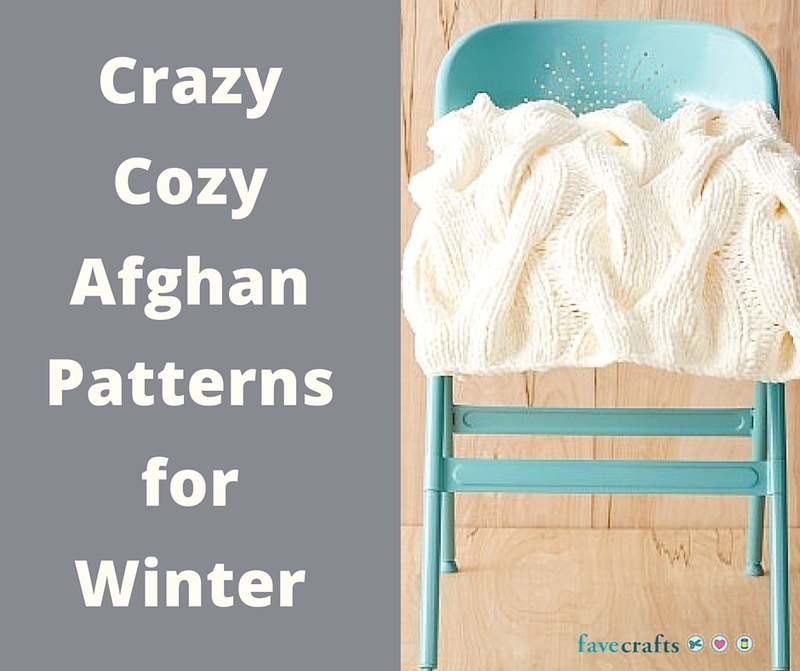 The cold winter weather is no match for these warm and cozy knit afghans! From the light and lacy to the thick and chunky, these knit afghans are sure to add a warm touch both to your decor and your freezing little toes! We’ve joined forces with our friends over at All Free Knitting to bring you 14 of the best knit afghans we could find. Personally, I’m a big fan of this In a Pinch Afghan. 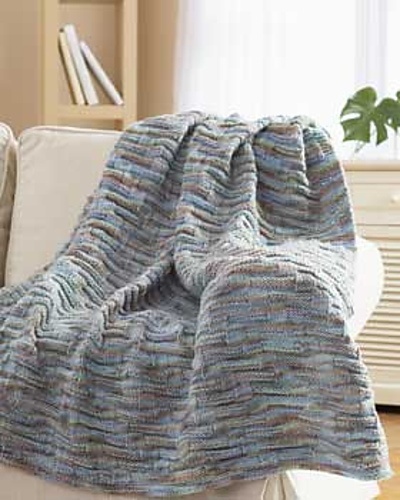 With a lovely pattern that literally looks “pinched”, this afghan is a great project to work on during those cold winter nights that have you trapped in the house. 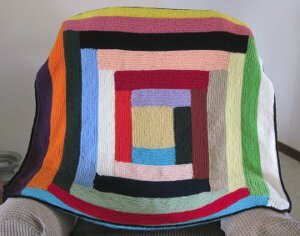 This Rainbow Stashbuster Afghan is another beautiful knit afghan pattern that I would love to have on display in my living room! With a wide variety of colors and patterns, this afghan could be made to compliment almost any decor, and will instantly add color and style to any room in your home. BONUS! We’re giving away a set of Tipping Points Knitting Needles! With 3 interchangeable tips, these knitting needles are great for almost all your knitting needs. Scroll on down for all the necessary info! Want to win these awesome Tipping Points Knitting Needles? 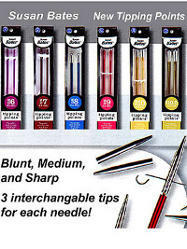 With 3 interchangeable tips, these knitting needles are great for almost all your knitting needs. Head on over to the giveaway page and register to win today. You have until February 4th to enter, and you can enter to win once a day…so the more you return, the greater your chances of winning! Head on over to the giveaway page now! Like free stuff? Check out our other weekly giveaways, going on now! Last week we invited knitters to post their knitted FOs (finished objects) and WIPs (works in progress) on the AllFreeKnitting Facebook fan page in honor of St. Patrick, who we all know was an avid knitter. Alright, so maybe the only stick St. Patrick wielded was the staff of Moses, but the St. Paddy’s Day Challenge was still a great opportunity for knitters to share their projects and showcase their skills. 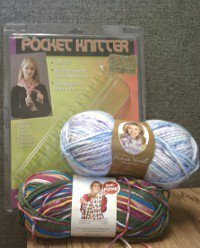 We also chose one participant at random to receive an awesome prize: a Pocket Knitter (great for small loom knitting projects!) with two skeins of Deborah Norville yarn. The lucky recipient of this goody bag was Jennifer Wylie, who posted a pair of knee-high socks in a rustic, cozy-looking yarn. Congratulations Jennifer! I decided to start off my favorites list with a project that embodies St. Patrick’s Day. Great colorwork! 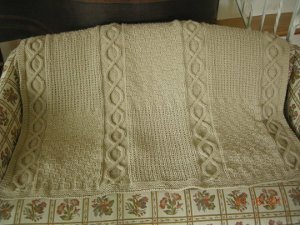 The creamy yarn sets off perfect stitch definition in this classic afghan. Love it! For those of you who aren’t fans of lacy, drapey scarves, check out this chunky cowl. There’s something about the spring green yarn, the bulky stitches (garter stitch or seed stitch? What does this look like to you? 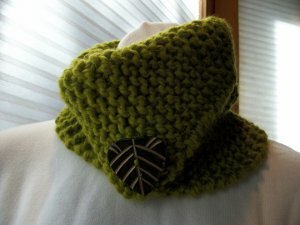 ), and the earthy leaf embellishment. 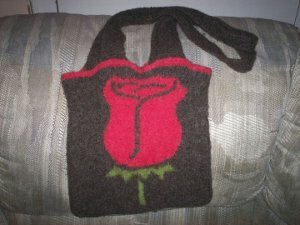 The intarsia and felting on this bag is great. 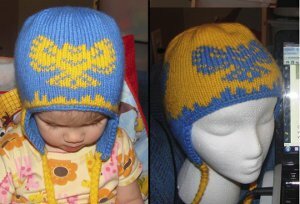 The knitter who posted it mentioned that it was her own design. We would love to feature the pattern on AllFreeKnitting if you would like to contribute! All I can say is that I wish I was wearing this shrug on Easter! I chose these sweaters because the knitter who posted them said they were mostly her own design. I’m very impressed by the intarsia (especially the lettering). Hopefully the knitter will share her pattern with us! This may be my #1 favorite project from the whole challenge. Not only are they adorable, they are also totally original. I haven’t seen a project this creative, cute, and unexpected in a long time. I can say this project made the list for its resourcefulness, ingenuity, and sheer talent. But mostly it made the list because it had us in stitches (pun intended)! 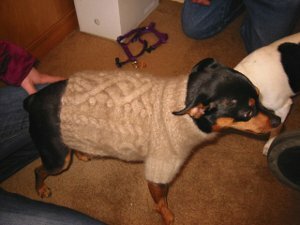 The idea of spinning a yarn from your cat hair to make a sweater for your dog is truly original! This was the perfect knitting project for St. Patrick’s Day. It simply exudes Irish spirit! As you might have already guessed, I have a soft spot for blankets with chunky cables. 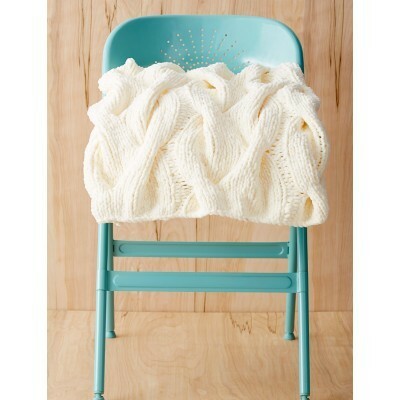 This will be so cozy for baby! 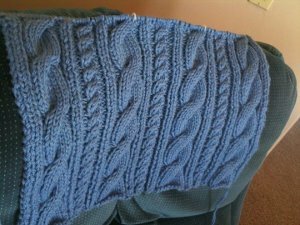 There may not be much to this WIP yet, but I chose this project for the knitter’s adventurous spirit. 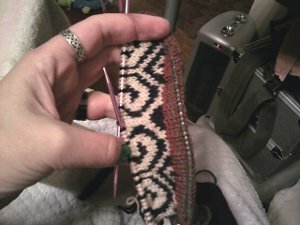 She writes that this is her first attempt at stranded colorwork. Yay for fearless knitters! Another project I chose for technique. This is called a log cabin blanket because each rectangle builds off the other to create a series of interlocking squares. 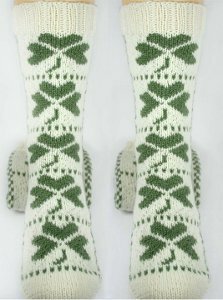 This is one of my favorites because the knitter really got into the St. Patrick’s Day spirit. 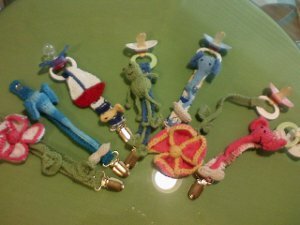 Love the four-leaf clover tassel! 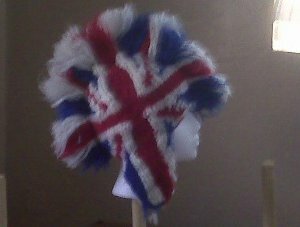 This clever cap is not only unexpected, but also an example of impressive knitting skills. The colorwork is great, and I can’t even begin to figure out how to keep the fringe standing up. Thank you so much to all the knitters who contributed their photos! We would love to feature your patterns on AllFreeKnitting, so please send us links, blog posts, or even handwritten patterns so we can share your projects with our whole community. If you would like to share your pattern with AllFreeKnitting, please let us know through our Contact Us page. I am especially looking forward to hearing from those talented knitters who have designed their own patterns! My favorite crochet pattern is the Belle Fleur Scarf. You can wear it in the winter to keep your neck warm but you can also wear it during the spring and fall as a fashion piece. This truly is a unique crochet pattern. My favorite knit pattern is the Textured Block Afghan. The colors are great, it will keep you warm and it gives you a chance to work on your knit blocks. What’s your favorite knit and crochet pattern? Don’t you love to feel nice and warm? I know I do. Living in the Midwest, this desire becomes much stronger during Christmas time, when the temperature plummets into the negatives. Goosebumps and chills aside, the holidays are a great excuse (like we need one) to start making warm and cozy Christmas crafts. In honor of the upcoming Christmas newsletter: 159 Days Till Christmas: 20 Cozy Gift Ideas, here’s some more cozy gift ideas for crafters of all experience levels. 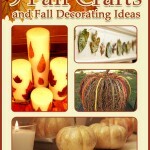 All of these can be made into more festive Christmas crafts by swapping to red and green yarn. Personally, I like to choose the gift receivers favorite color. This way, the present is even more personal. 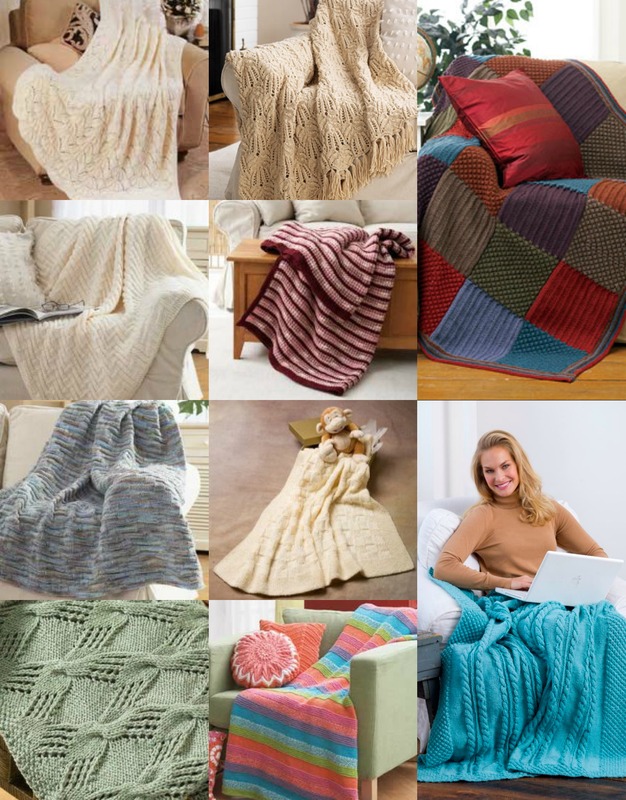 Whatever you decide, these are all lovely patterns that will keep your loved ones warm and cozy all season long. You can also help yourself stay warm this winter by knitting these 26 Free Scarf Knitting Patterns. Now if you’ll excuse me, I think I’ll make myself a nice cup of hot cocoa. What’s your favorite cozy Christmas craft? I hope you’re staying warm this December. We’ve had some very cold temperatures already, and we’re not even in the dead of winter yet. It makes me want to expand my warm-clothes wardrobe – so I’ll always be prepared for whatever cold weather comes my way. If you’re taking a few days off for the holidays, or need a new project to start once things slow down around your house – we recommend you get started on a new knitting project! To give a as a gift or keep for yourself, these knit patterns are sweet and warm. Soft Lapel Knit Sweater – Cozy for lounging around the house, this knit sweater is also appropriate work attire. Chevron Pillows & Afghan – In any color, these pillows will look spectacular on with your living room furniture. 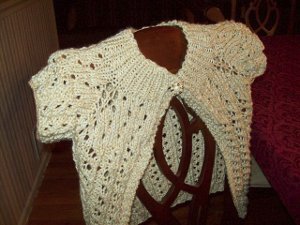 Make a matching afghan for those really cold nights. 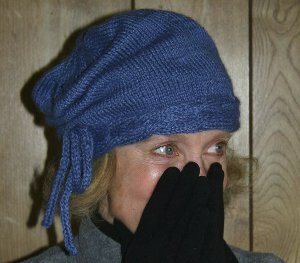 Cable Knit Beret – This knit beret can be worn all day, or just outside – it’s fashionable and practical.